In June 2018, Avantone Pro released the CLA-10 studio monitors, which became the #1 selling passive studio monitor in the world. The CLA-200 power amp, which soon followed has become another success filling a void for a reasonably priced class AB studio power amp. 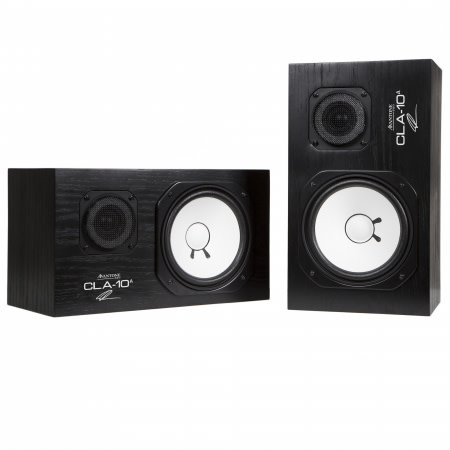 Avantone Pro is now proud to announce the release of the CLA-10A active studio monitors. The CLA-10A's have an all new “VTPC” knob or “Variable Tissue Paper Control.” This VTPC allows you to simulate any thing from the Vertical “m” model to the horizontal “Studio” model and everything in between. The CLA-10A's are expected to start shipping mid April 2019.